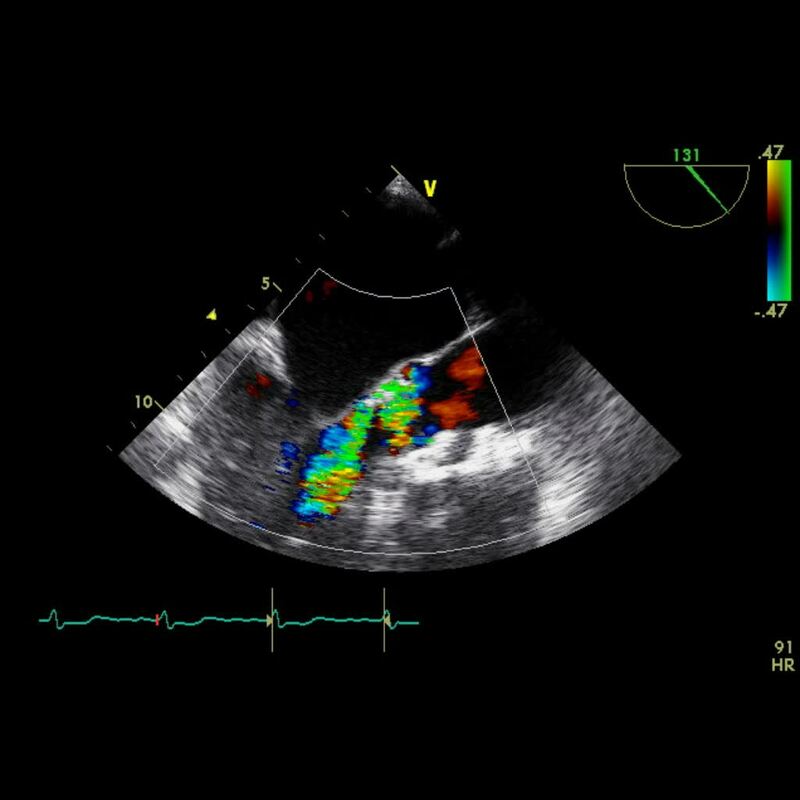 Video 2: Transesophageal echocardiography with 2-D color imaging showing aortic valve long-axis view at 131°, three days after implantation of an Edwards SAPIEN 23 mm transcatheter heart valve. Severe eccentric paravalvular aortic valve regurgitation is shown without a significant valvular component. The implantation position is rather low.